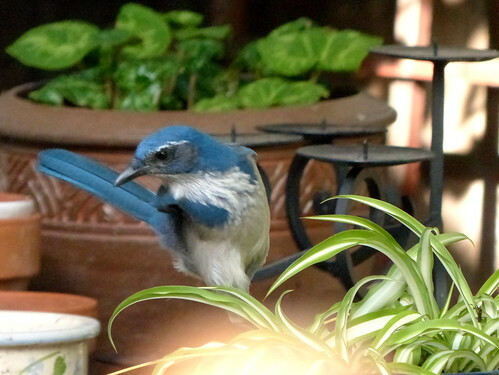 I was minding my own business out on the deck, watching the Saturday morning bird show, when a Western Scrub Jay lighted on the arbor and then dropped down to a table where I leave things intending to do something with them later. 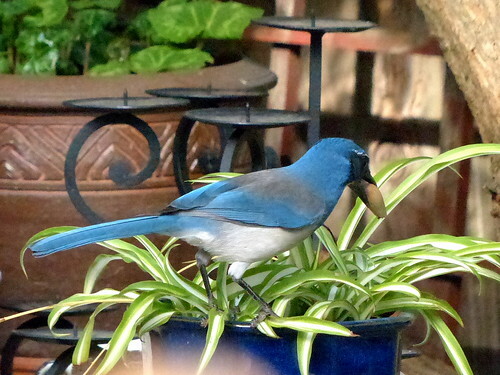 One of those things is an indoor house plant that has been outdoors for many years now, and our bird was now perched upon it. In her beak we can see an acorn. 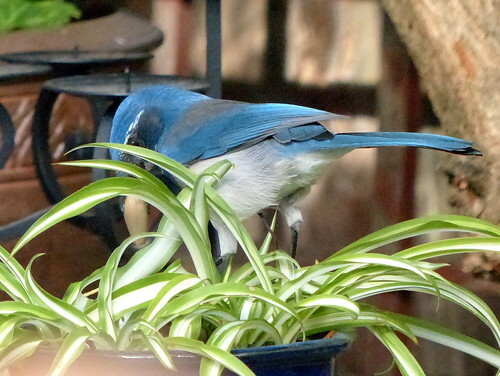 Our bird has chosen well, because I’ve only changed this plant’s container and soil once in the twelve years we’ve been here. The odds are very good that she will find her stashed acorn here next spring, when acorns are not so readily available. Here she is, about to jam the acorn into the container. She tapped on it several times to be sure it was hidden below the surface. I went back to check on it later, and you would never know the acorn was in there. The soil appeared undisturbed. After she was satisfied that the acorn was securely cached, she looked over at me. Probably assessing whether or not I was likely to raid the cache. If it was a roasted and salted almond, maybe. 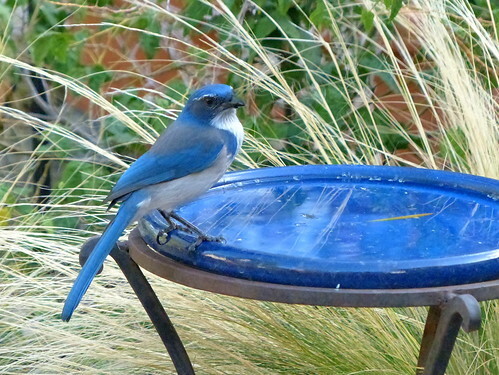 Before heading out to get another acorn, she stopped by the bird bath for refreshments. It’s important to stay hydrated. 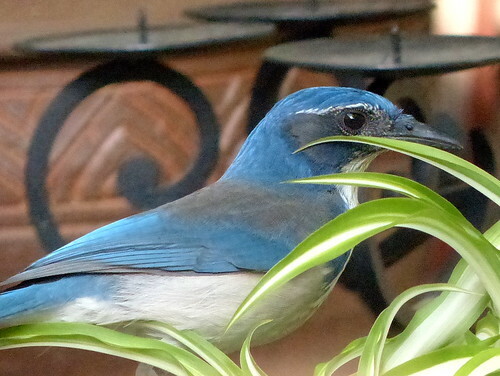 Don’t worry, Western Scrub Jay, your secret is safe with me. Except that I just told everybody about it.